Russia. 2001. Near Sheremetyevo airport. 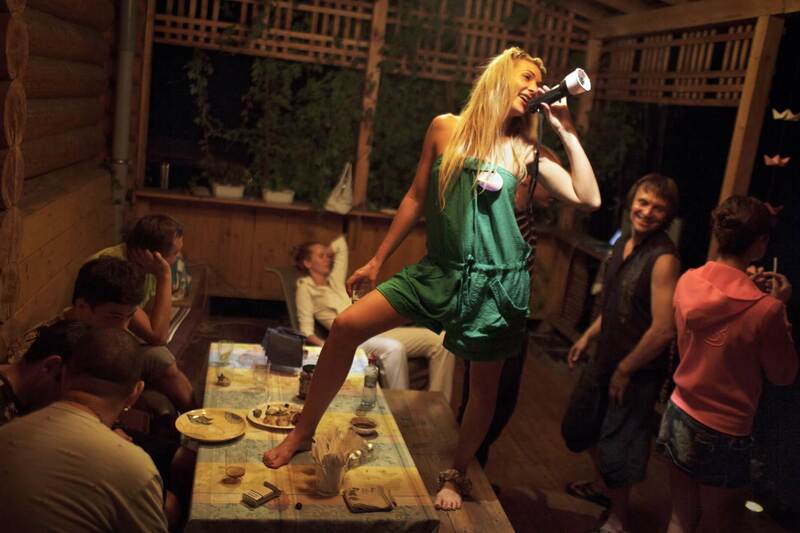 Well-to-do young Muscovites sat a birthday party at an upscale dacha.